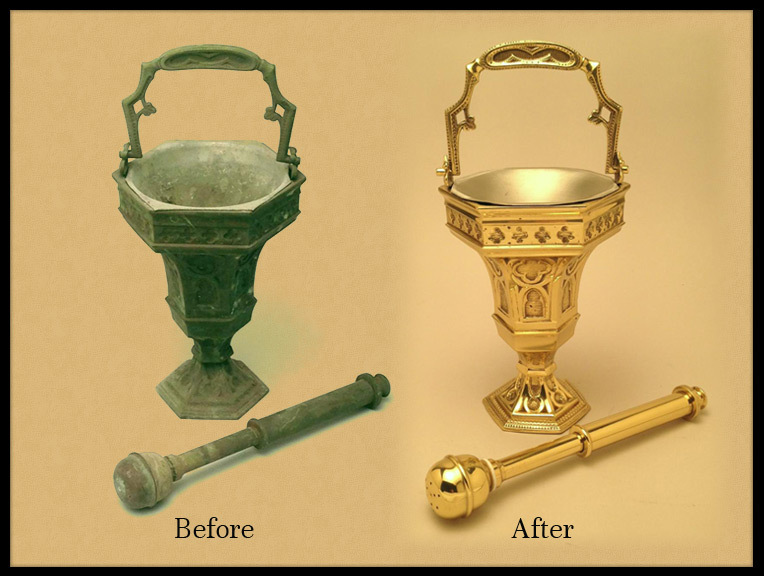 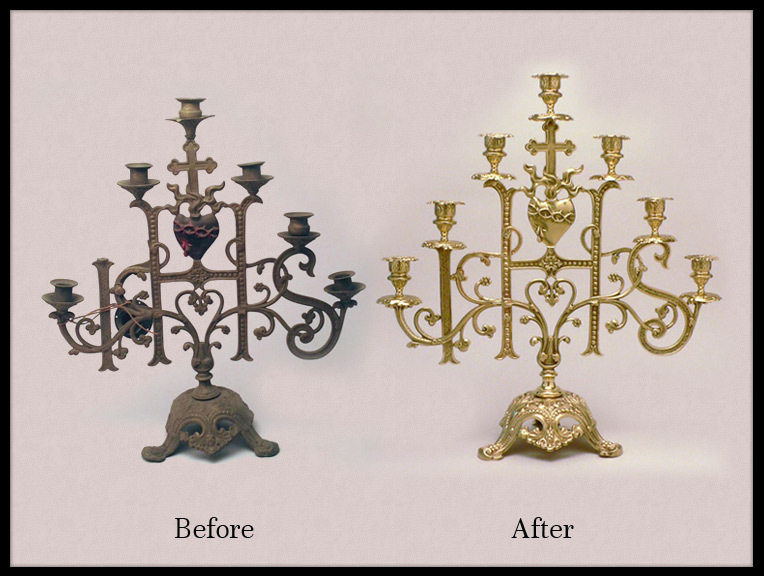 We have made a specialty of restoration and refinishing of all types of sacred metalware for churches, synagogues and temples. 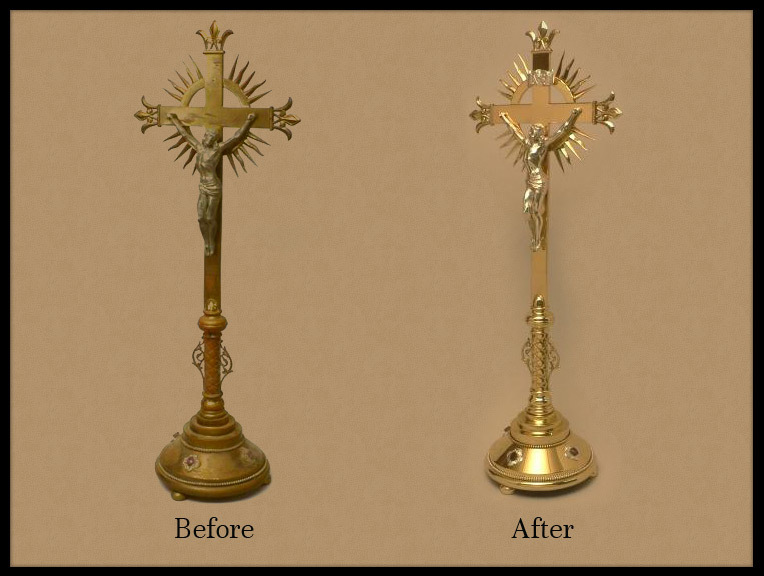 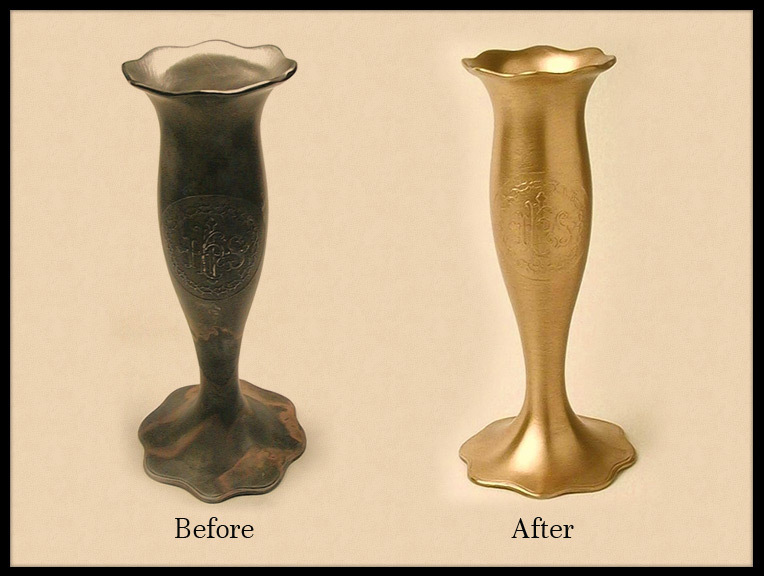 From the simplest candlestick to complex and ornate tabernacles and even ornate bronze gates and doors, we have the expertise and skill to return these precious items to their full striking beauty. 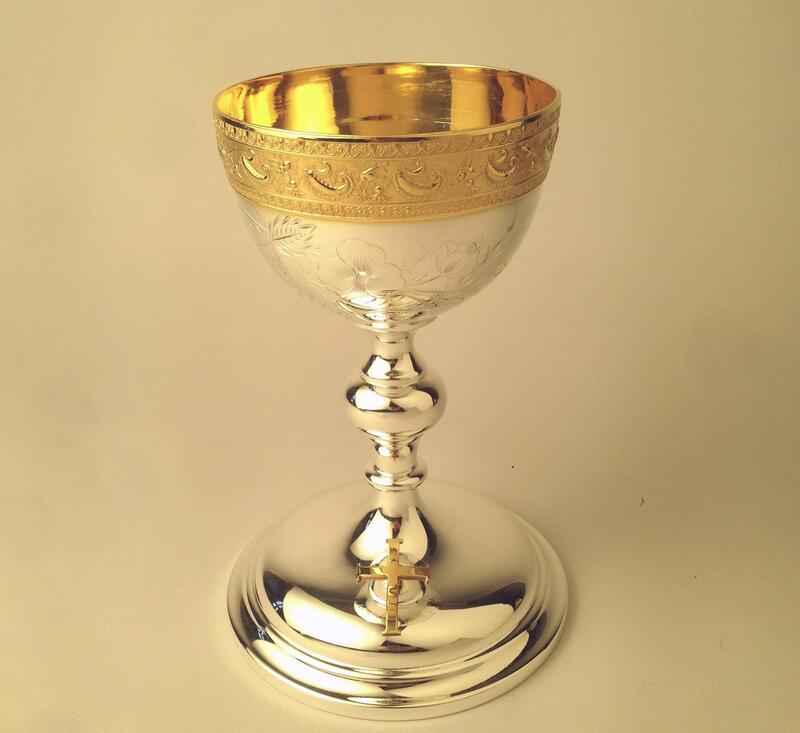 Our heavy quadruple silverplating insures a longer life than anything that can be purchased new today at far less cost. 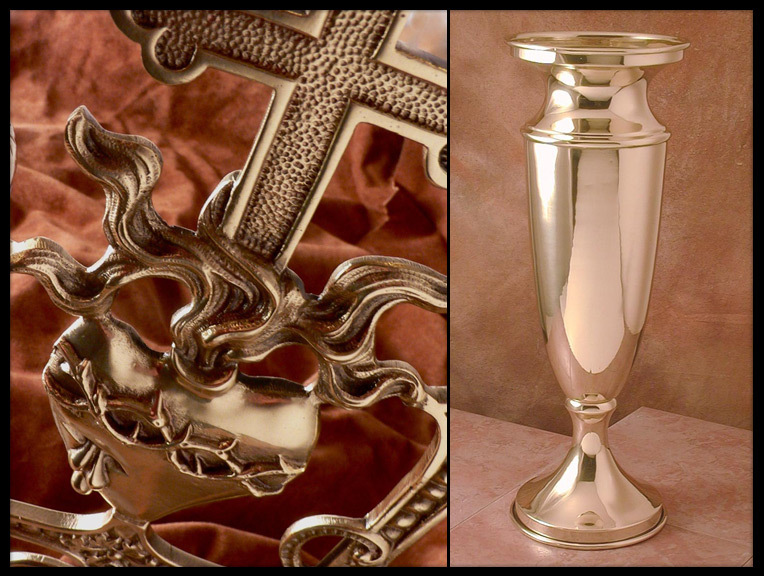 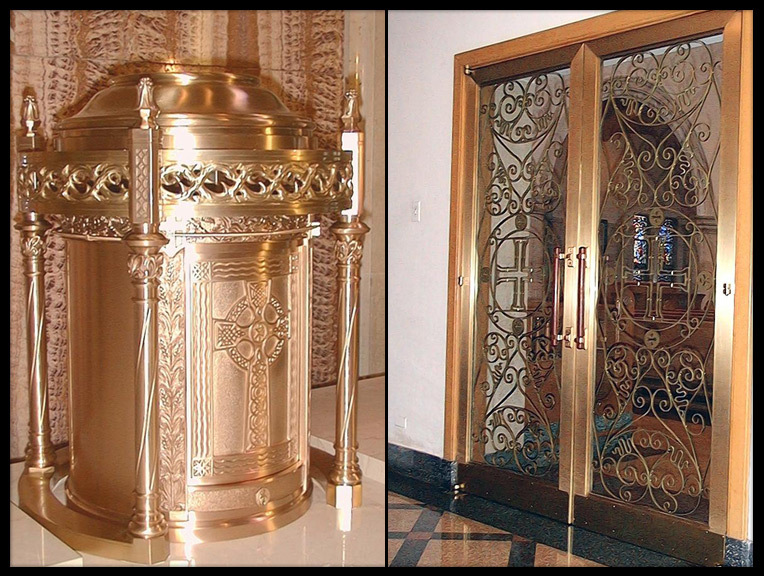 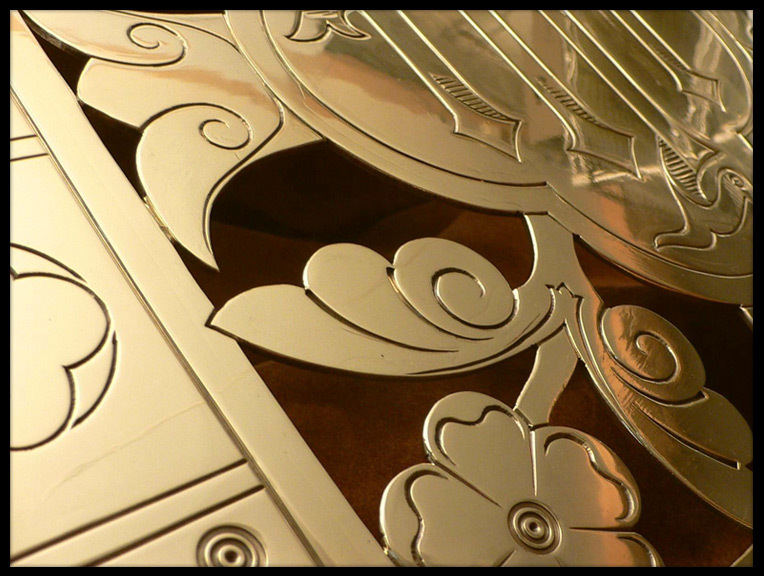 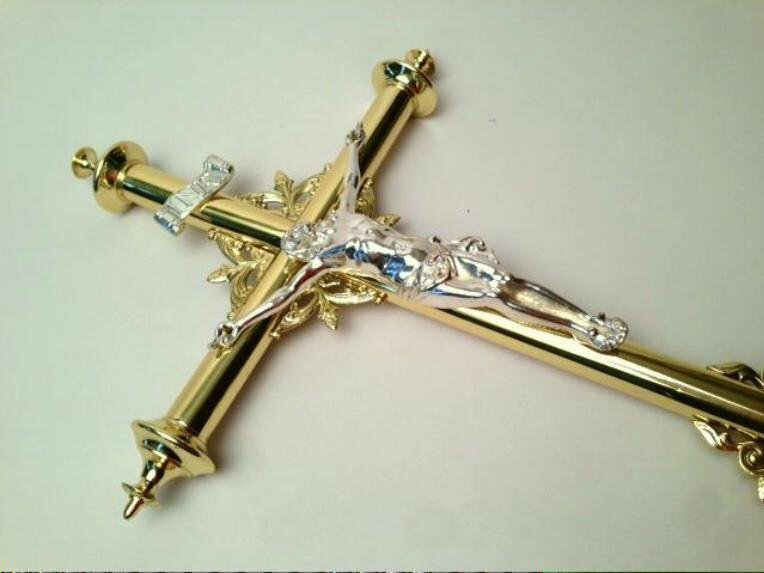 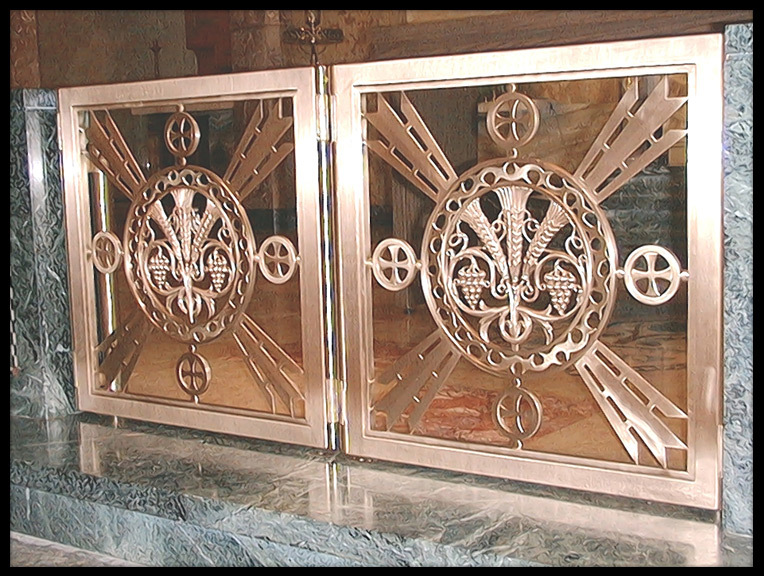 We offer bright or satin polishing of brass and bronze altarware, brilliant 24kt gold or quadruple silver plating for chalices and ciboria, polishing of intricate sterling Torah crowns and breastplates, even the church or temple's door hardware can be expertly restored by our skilled and experienced craftsmen to enhance the beauty and enjoyment of your services and our fast turnaround assures minimum interruption.